My bloggy friend Mandy from Mandipity, is expecting her first baby, Abigail VERY soon! So, Gina from Hiya Luv and Rachel from The Chatty Mommy teamed up to throw her a virtual baby shower and I am participating! You can participate as well if you would like. Check out Gina's blog, Hiya Luv for all the details and to link up your post to the baby shower party. 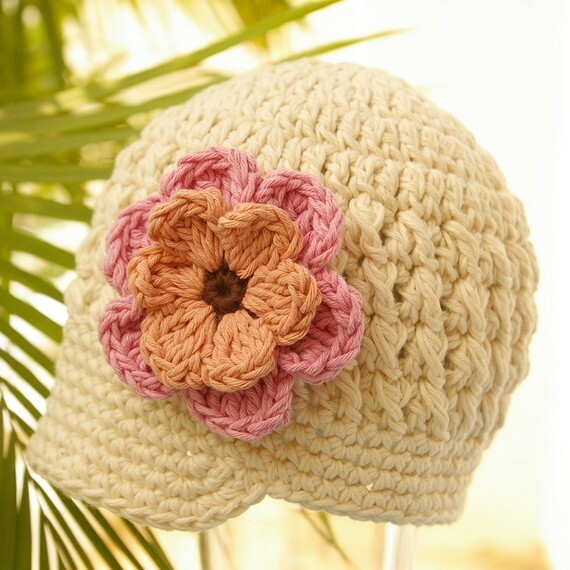 I decided to find some adorable items on Etsy that would be perfect for baby Abigail. 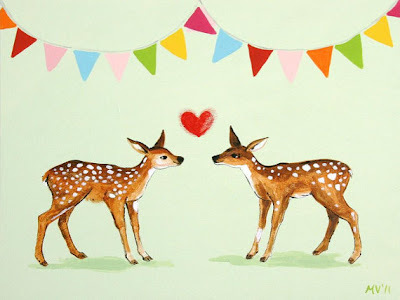 Abigail's room is decorated with little deer so I thought I would find some cute deer items to match her room and then just a few other things I thought were too cute not to share. 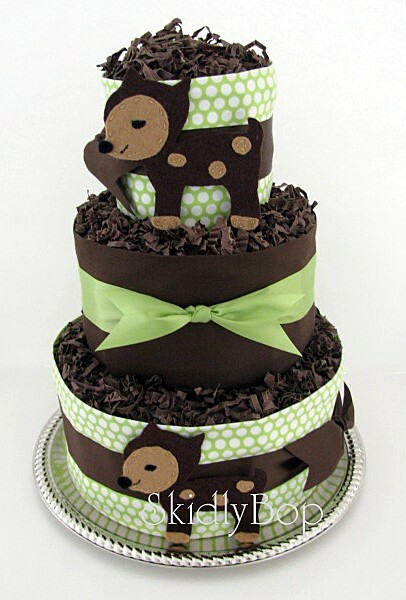 First up, what's a baby shower without a diaper cake? 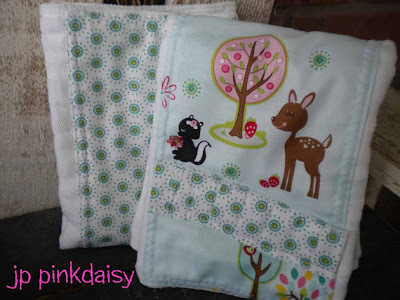 This is an adorable deer one from Skidly Bop. 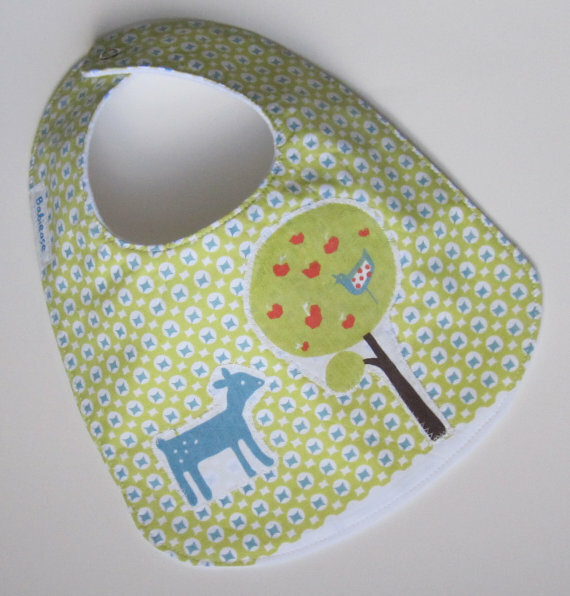 Babies are messy when they eat so why not cover them up with this super cute bib from Babiease. 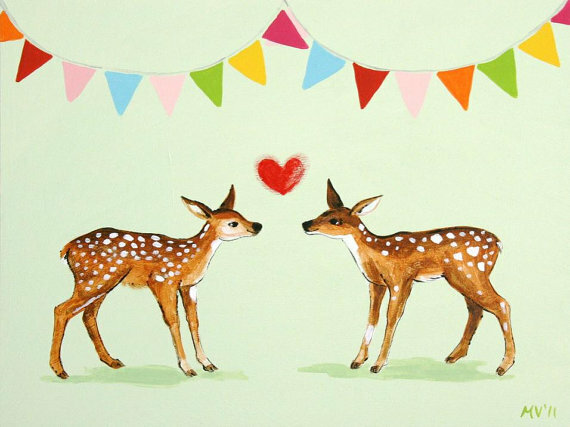 I just loved this Deer art by J. Austin Ryan and I thought Mandy would love it as well. How about a cute burp cloth to try to keep the babies, and you, less messy as well? This one from JP Pink Daisy will work just fine. 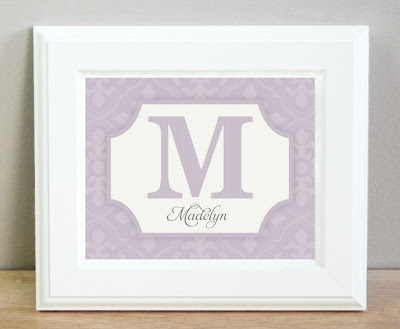 Love this monogram art, in an A of course, from Sugar Fresh. This art is so precious by Sugar Fresh as well. 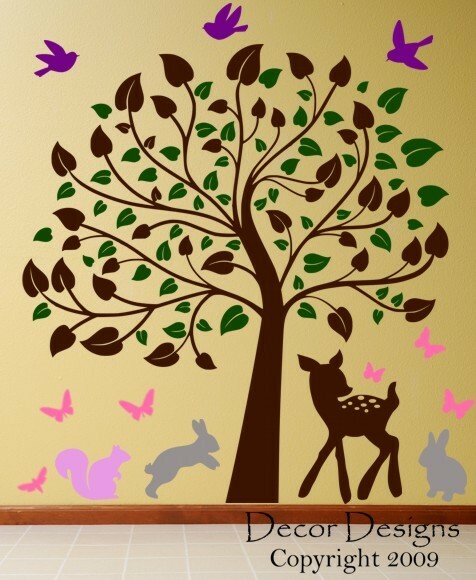 Could always do a fun wall decal as well. 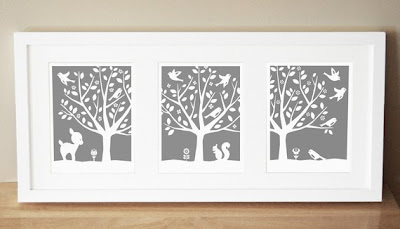 This one is too cute from Decor Designs. This matches Abigail's room exactly. And what little girl doesn't like their name on the door? This is from the shop Personalized by Diane. This would be for when Abigail is just a little older but it was too cute to pass up. It is from the shop JeabMade. And best wishes for Abigail's arrival! I just love the deer stuff. Thank you so much Allison... I LOVE them all, and I love that you found stuff that goes with Abigail's nursery! 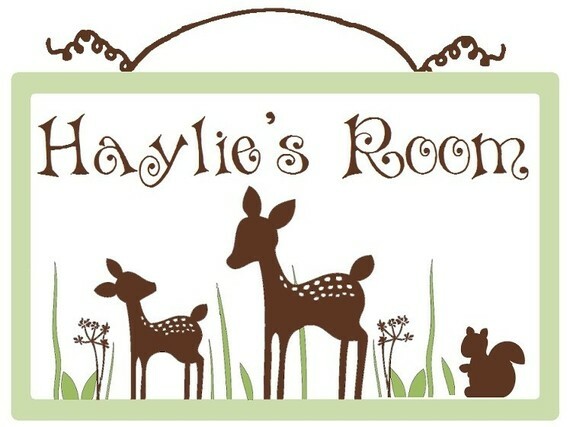 :) You're right... that one sign does match her bedding perfectly - it's crazy! What a nice idea- a virtual baby shower! It's so exciting welcoming friend's babies into the world. Thanks for sharing, i'll check out that post.